Whether you have taken up your home renovation or you are constructing a brand new home of your dreams, there are many crucial things you must decide beforehand; one of which includes the flooring. No matter how much you spend on the walls, ceilings, woodwork or furnishing of your home, flooring is something, if not chosen intelligently, makes all your investment go in vain. It is a fact that you can’t choose the same kind and color of flooring for every room in your house since each of the rooms has a different size and theme. This is where you require hiring the services of a professional interior designer who makes a winning combination of your home theme and the type and color of flooring it needs. 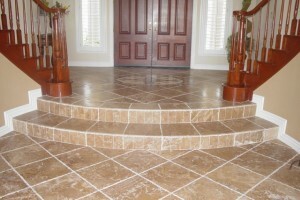 It has been found that picking new flooring is considered a daunting task by many. While you go choosing flooring for your home, you’ll be left confused by abundance of materials available in the market. 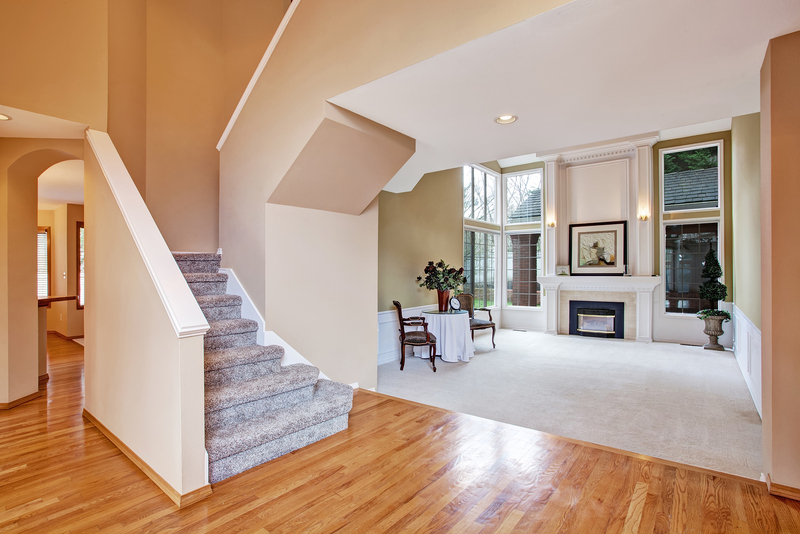 Read below to find out about the three most popular types of flooring found today. The traditional hardwood flooring gives a great deal of durability and provides a truly natural feel to the home. It has long been and still remains to be the most popular choice of homeowners around the world. When it comes to hardwood flooring, oak wood is the most popular followed by many other types of wood including traditional cherry, Brazilian cherry, Tasmanian oak and many more. The hardwood floors come in many different styles which include prefinished boards, plank and parquet. For all of those who are looking for least expensive wood flooring that makes a statement, there is laminate flooring. 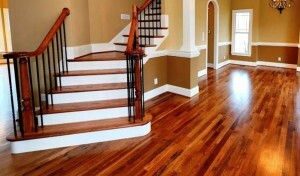 This kind of floor is much easier to install than the solid-wood floor and looks just like the real hardwood flooring. The laminate flooring gets its name from the different laminated layers of materials that are topped with a wood grain photographic imprint. Before you install laminate flooring, make sure that the surface of your floor is perfectly even and is free from any kind of dust to ensure best and long-lasting results for the adhesives. If we have a look at the latest building construction in Pakistan, we’ll be able to find many of them making use of laminate flooring. If we have a look at the traditional homes today and in the past, we’ll find out that tile flooring has remained one of the most popular choices. The porcelain is the most popular choice when it comes to tile flooring since it is the most economical and gives the beauty of a stone. Moreover, if you are looking for super durable tile flooring for your home, you should opt for marble tiles instead of porcelain tiles. The tiles come in many different textures and styles to suit different room themes. Before you finalize flooring for your home, it is always a wise decision to take advice from a qualified interior designer in Pakistan.